Learn the fundamentals of blacksmithing in this 3 day course. Both a practical skill and an art form, blacksmithing is a full body/mind experience. Blacksmith Pat Thompson will cover the basics of forging, hammer-work, tools, and shaping steel. There will be plenty of one-on-one time. 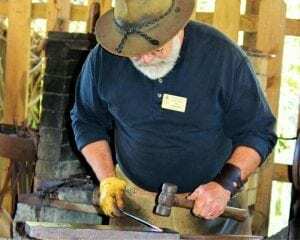 This workshop is open to all levels, but be aware that becoming a skilled blacksmith requires many years of hard work and learning. Student will leave the class with several finished pieces they have created. These lessons and techniques will expand your ability to create just about anything you can imagine creating from iron. Space is limited. Class size is limited to 3 people to allow plenty of time for one on one instruction. Students are encouraged to bring or wear leather shoes, leather palm work gloves, a leather apron, and safety glasses. A metalworker and welder early in his life, Pat Thompson rekindled his interest in 2004 as an apprentice at the Ozark Folk Center State Park, where he was resident blacksmith from 2013 to 2018 and for whom he still teaches classes, as well as teaching classes at the Arkansas Craft School. 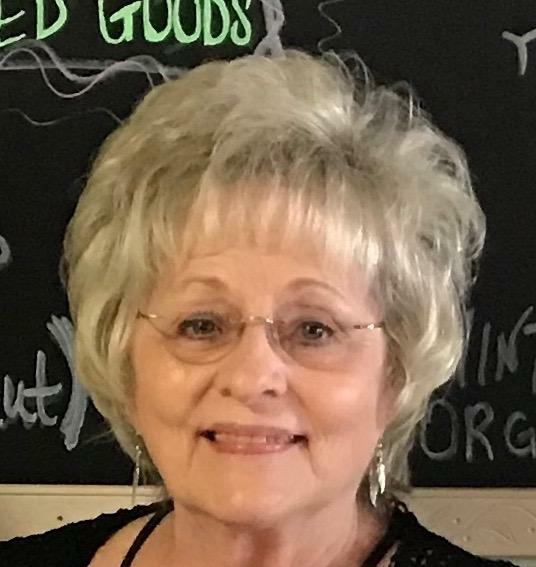 Pat is a native of Little Rock. 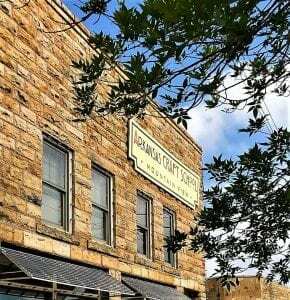 He lived in Austin, Texas, for 20 years before moving to Mountain View, where he came to blacksmithing while visiting the Ozark Folk Center. Pat owns and operates Heritage Springs Forge out of his studio in Mountain View Arkansas. Heritage Springs Forge’s products, although often produced with modern methods and tools, are made with the same dedication to quality that blacksmiths throughout history incorporated into their pieces. That heritage is the fuel that fires creativity and passion. Using steel, copper, brass and wood, Patrick Thompson blends raw materials into exciting pieces of art. Many of his designs are based on nature. 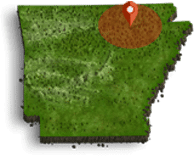 Arkansas Craft School | 101 N. Peabody Ave, Mountain View, AR 72560, or you may contact them on their FB page and web site.